Sterling silver inserts give the bracelet a touch of elegance. 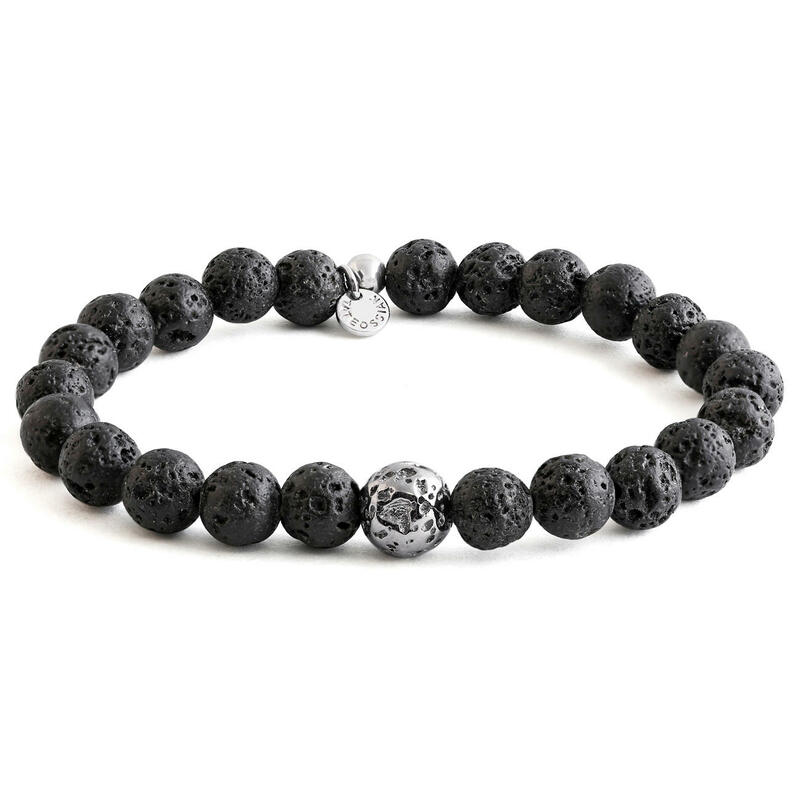 The bracelet made of genuine lava stone. Handmade in London – by jewellery designer Robert Tateossian. Lava is a jewellery classic, but rarely found here. The volcanic stone of the beautiful black beads comes from Bali. Formed from the solidified magma of the Batur volcano, each nugget is a purely natural product – unique in form and structure. One is a perfect replica of the lava beads, the other is the trademark of Robert Tateossian. The bracelet is made in London, the beads hand-threaded. A stylish and masculine piece of jewellery – to match casual jeans and fashionable business outfits alike. Comfortably elastic, no fastener. Approx. size diameter: 0.9cm (0.4"). Weight: 19g (0.7 oz).